is LA‘s Original Pirate-Themed Tattoo Shop. Voted Best Tattoo Shop in Los Angeles Tattoo Hotlist 2018 Again! “It’s A Pirate Life We Live !” Come gaze upon our modern gold body jewelry, ancient adornments, and Sterling silver skull rings/bracelets. 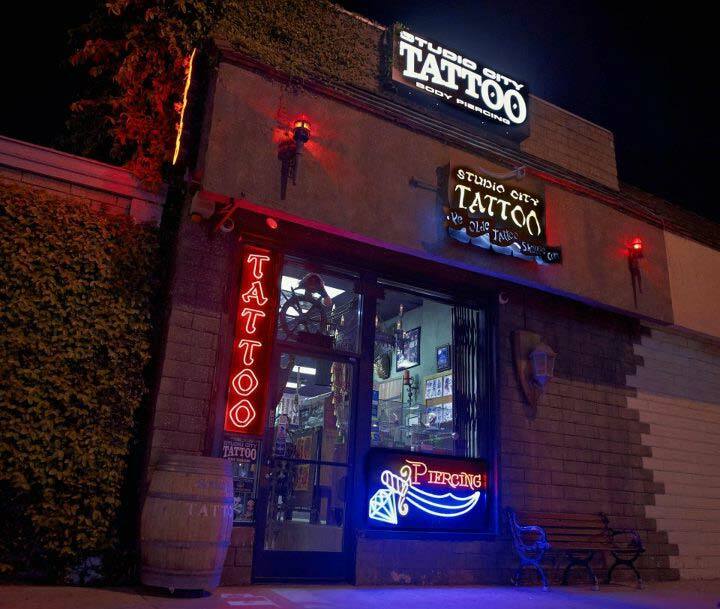 Since 1992, Studio City Tattoo has been providing artistic tattoo design, consulting and body piercing services. Studio City Tattoo’s veteran tattoo artists are picked for skill and good character. We can create custom artwork or bring your best tattoo designs to life. Los Angeles Body Piercing’s knowledge, professionalism, and jewelry cannot be beaten, stocking only the highest quality body jewelry from only the top manufacturers in the United States including Anatometal, Tawapa, Maya and Body Vision. Studio City Tattoo & Body Piercing Parlor is consistently voted number one #1 tattoo shop in Los Angeles County, California with over 800 reviews and a 5-star rating from Yelp. We really try to give you our best and on the rare occasion we fall short, we make every effort to make it right :)Our mission is to raise the bar on tattoo artistry, equipment, and customer service by providing our clients with a roster of highly talented tattoo artists and body piercers alongside the latest developments in technology. Here at Studio City Tattoo, we maintain a large variety of electric tattooing styles, quality body jewelry, and unique cutting-edge products. We are constantly expanding our inventory to keep up with the latest body jeweler styles, fashions, and trends. We are a premium Anatometal Jewelry Dealer. Every customer receives a personalized evaluation of their tattoo or body piercing needs. Every experience, every tattoo, every piercing is not only a work of art but a treasured memory of a great experience. We have both male and female tattoo artists and body piercers. Since 1992, Studio City Tattoo has been providing artistic tattoo design, TV and film consulting and body piercing services. Studio City Tattoo’s veteran tattoo artists are picked for skill and good character. We can create custom artwork or bring your best tattoo designs to life. 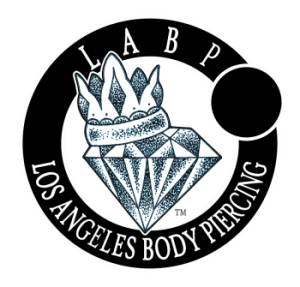 Los Angeles Body Piercing’s knowledge, professionalism, and jewelry cannot be beaten, stocking only the highest quality body jewelry from only the top manufacturers in the United States including Anatometal. Tawapa, Maya, and Body Vision Los Angeles too. the presence of their parent or guardian.